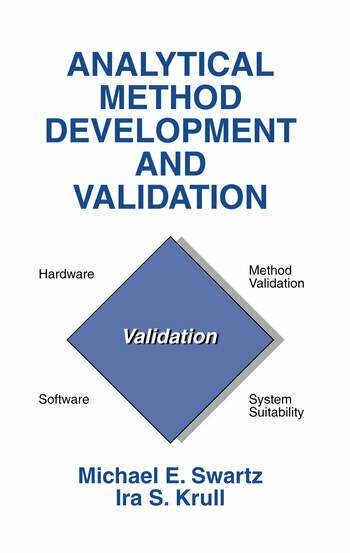 Method development, optimization and validation approaches; method validation (USP/ICH); system suitability; method validation protocol; method transfer and revalidation. ". . .a useful primer-type book covering validation of analytical methods. . . .recommended." "Stop and read this. . .book to understand a formal way to develop or to improve and validate your methods. . .. In answer to any query posed to you about your methods development technique, you could hand your well-worn copy of this small book to the questioner. There should be no further questions."